Firefighters are on the scene of a blaze north of Genoa. Despite flames raging all around, no homes were lost in a fire above Jacks Valley, according to the Douglas County Sheriff’s Office. The fire that originally threatened as many as 30 structures was reported to be 50 acres. East Fork firefighters responded within minutes of the first report of flames 12:50 p.m. Monday. A smoke plume could be seen from across Western Nevada, and was even visible on one of the University of Nevada, Reno’s fire cameras. 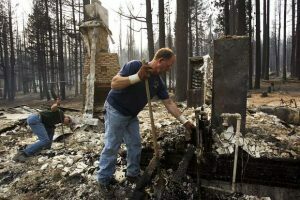 More than 100 firefighters worked three-dozen pieces of equipment to protect the homes in the neighborhood along James Canyon Loop. An air tanker arrived to help stop the flames, which were reported to have jumped Jacks Valley Road in one spot near the former Rite of Passage house. Deputies went door to door to warn residents of the fire and in some instances escorted them out of the neighborhood. East Fork and the U.S. Forest Service are in a combined command to fight the fire. Jacks Valley Road remains closed, according to Douglas County. Adams Canyon and North Alpine View Estates are also closed. Residents only are being allowed into the lower end of Genoa Lakes. An evacuation center has been established at the Douglas County Community & Senior Center in Gardnerville. Large animals and livestock may be taken to the Douglas County Fairgrounds. 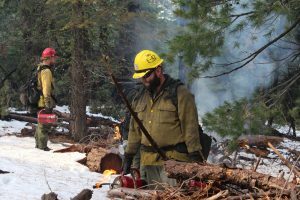 Units from Alpine, Lyon, and Storey counties, Carson City, the Mason Valley Volunteer Fire Department, Sparks Fire Department, the Nevada Division of Forestry and the Bureau of Land Management. Flames raged between homes located above Jacks Valley Road near James Canyon Road on Monday afternoon. Reported at about 12:50 p.m., the fire was 5-10 acres within minutes. Firefighters from across the region responded to the blaze which up a black smoke plume visible from across Carson Valley and Carson City. 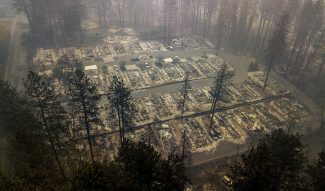 A Nevada Division of Forestry helicopter was working on the fire not long after the first report. Volunteer firefighters were put on alert as resources were drawn from across the Valley. Deputies went door to door to alert residents to the danger and to blockade Jacks Valley Road on either side. West winds were pushing the fire east toward Jacks Valley Road, prompting concerns that the fire might jump the road and threaten Jacks Valley or Montaña. East Fork firefighters are responding to a report of a wild fire near Jacks Valley Road and James Canyon Loop north of Genoa. Firefighters reported being able to see smoke from Minden. Reports from the scene is that the fire is 3-5 acres in size with moderate rate of spread. According to the latest report, the fire is burning near Childs Canyon Drive. Firefighters are immediately setting up structure protection for the homes in the vicinity. Motorists are advised to avoid Jacks Valley Road as it is closed. 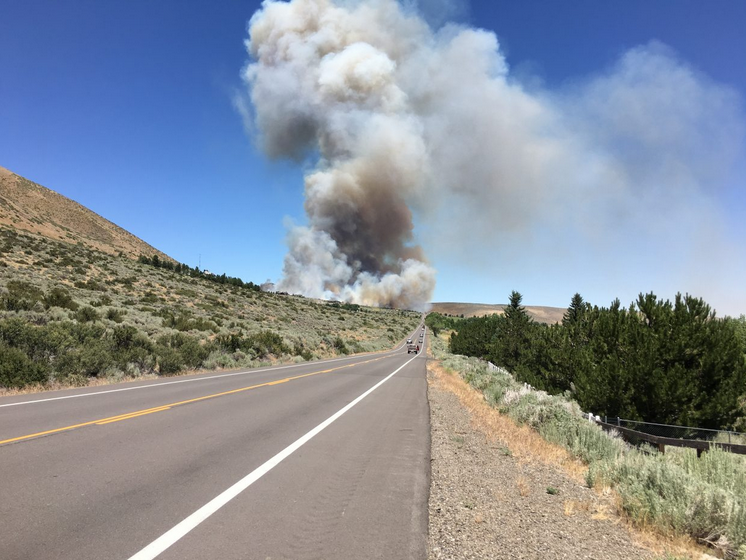 TDFPD crews are responding for mutual aid with East Fork Fire to a wildland fire near James Canyon off Jacks Valley Rd between Genoa and Carson City. 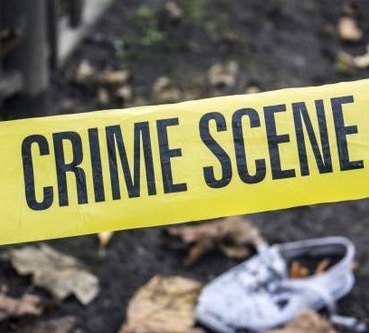 Please avoid the area. Jacks Valley Rd has been closed.